The summer passes quickly: mornings lifting weights and improving cardio, middays shopping or learning self-defense, afternoons learning Spanish so quickly that the flash cards seem like a movie reel. At night, they eat dinner at expensive restaurants, the other three tipsy and always pressuring Atlas to hit on the girls at the bar. He does so, and must admit that the little quirks have taken the stress out of approaching a woman. First he evaluates a woman’s dress and purse for signs of her personality, puts a hand on her arm with the right amount of pressure, and offers to buy her drink (not too forcefully, Mary’s voice says in his ear, just sure enough to exude a scent of richness and at the same time indifference). He learns to love the city, the organization of its gridded streets and the rush of suited workers around lunchtime and 5:00 PM. The thick air no longer irritates his lungs, even when Mary lets him run around the monuments instead of in the claustrophobic gym. Washington becomes their playground, always a new restaurant or hookah bar to discover or a new party to crash, and the days of Virginia living seem like a decade ago. Then suddenly it’s the morning of September 15th, and Max dresses him in his favorite blue blazer and styles his short brown hair before sending him out the door. His leather briefcase contains books and folders, in addition to a laser gun strapped in a hidden compartment (just in case). In his ear, a mic so small it’s undetectable by the human eye sends everything he says back to headquarters, and they can speak back, as if there wasn’t enough pressure to hit it off with Esperanza already without the crew critiquing his every word. In another completely bizarre turn of events, Mary apparently rented Atlas a car and driver to take him between classes. “Mr. Read?” the driver asks as Atlas leaves the building. For a second, Atlas swivels to look for Mr. Read with the man in the suit. “Aren’t you Mr. Read?” the man asks again. 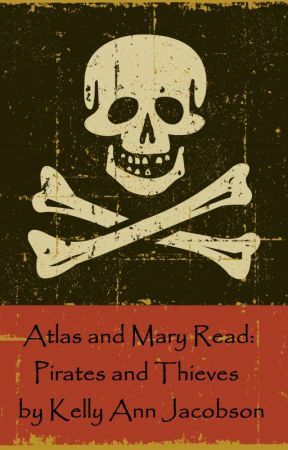 He is about a head shorter than Atlas, with the kind of square shoulders Mary thought would develop on Atlas but never did. His accent sounds like he’s from Brooklyn. “I’m here to take you to class. The name’s Bernard, but you can call me Bernie. Please, this way.” Bernie opens the door of a black Porsche SUV and waves his hand toward the interior. “Why not, man? Make a splash,” Bernie says, and the words are right out of Mary’s go-to excuses for why Atlas should do something he doesn’t want to do. Atlas sits uncomfortably on the leather seat and watches the migration of students from the dorms located behind Atlas’s apartment building to their classes a few blocks over. Usually as a first year he would have had to live in the dorms, even with a local family, but Mary hacked into their system and deleted his housing record entirely. Unfortunately, this also means he’s the only first year who doesn’t know a single other student on the first day of school. Outside the Porsche, guys slap each other on the backs or scream things across the street to students on the opposite sidewalk. Girls walk in huddled pairs or threes, probably already gossiping about weekend flings and who had the wildest party. They all have long dark hair, oversized sunglasses, pink iPhones clutches in their hands, and venti coffee cups. The dress code seems to be black leggings and oversized sweaters for girls, while the guys wear anything from sweatpants to blazers like Atlas’s. Similar clones dot the quads and cover the benches outside the dorms, and Atlas wonders if he’ll even be able to spot Esperanza among a crowd of so many identical students.